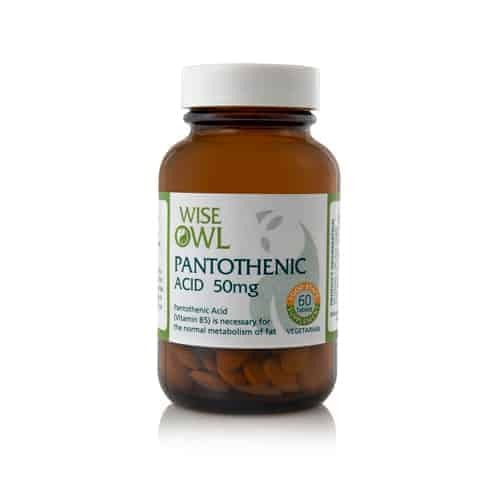 Wise Owl’s ‘Food State’ Pantothenic Acid (Vitamin B5) is a whole food supplement for optimal absorption & utilisation. Pantothenic Acid may help mental performance & energy levels. Suggested dose is 1 tablet daily, so this is a 2 months’ supply. Pantothenic Acid is also known as Vitamin B5, part of the B-Complex group of vitamins. Vitamin B5 is not stored in the body to any appreciable extent & must be replenished every day. Wise Owl's Vitamin B5 supplement is uniquely a ‘Food State' supplement & thus provides nutrients in the same form as those in food. It comprises a food base of ‘lactobacillus bulgaricus’ which acts as a natural carrier to helps give optimal absorption & utilisation of the nutrients. It also contains amino acids that can help absorption. The primary function of Vitamin B5 is to synthesise & metabolise carbohydrates - from food to glucose to energy. It also stimulates the adrenal glands & thus increases production of cortisone & other adrenal hormones. Vitamin B5 is essential for the synthesis of cholesterol, steroids & fatty acids & aids in the utilisation of other vitamins. Pantothenic Acid is also known as Vitamin B5, part of the B-Complex group of vitamins. Our Vitamin B5 Supplement is uniquely a ‘Food State supplement’ and thus provides nutrients in the same form as those in food. Pantothenic Acid helps maintain a healthy digestive tract and can improve our ability to withstand stressful conditions. It stimulates the adrenal glands and thus increases production of cortisone and other adrenal hormones important for healthy skin and nerves. It also plays a vital role in cell metabolism and as a coenzyme participates in the release of energy from carbohydrates, fats and proteins. Vitamin B5 is essential for the synthesis of cholesterol, steroids and fatty acids and aids in the utilisation of other vitamins. Wise Owl Pantothenic Acid also contains amino acids that can help proper absorption. This supplement comprises a food base of ‘lactobacillus bulgaricus’ a native and friendly bacterial inhabitant of the human GI tract. As this bacteria fits into normal metabolic pathways it acts as a natural carrier to helps give optimal absorption and utilisation of the nutrients. Recommended Intake: One tablet daily as a food supplement or as directed by a practitioner. Suitable for: Men, women, children and the elderly, including vegetarians and for people with Candida and yeast sensitivities. 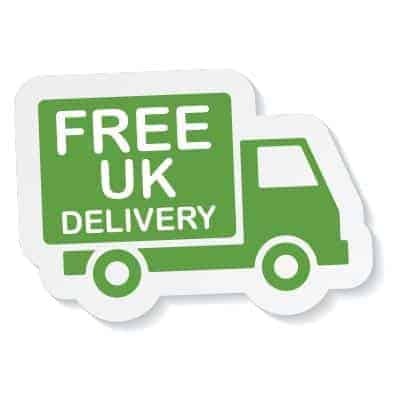 Non GMO & Free From: Yeast; wheat; starch, gluten; soy; added sugars, colourings, flavourings & preservatives. Product Ingredients: Lactobacillus bulgaricus providing pantothenic acid; magnesium stearate, stearic acid, silicon dioxide; tablet coating: vegetable cellulose. Product Non-Actives: Vegetable stearic acid, magnesium stearate, stearic acid, silicon dioxide; tablet coating: vegetable cellulose.